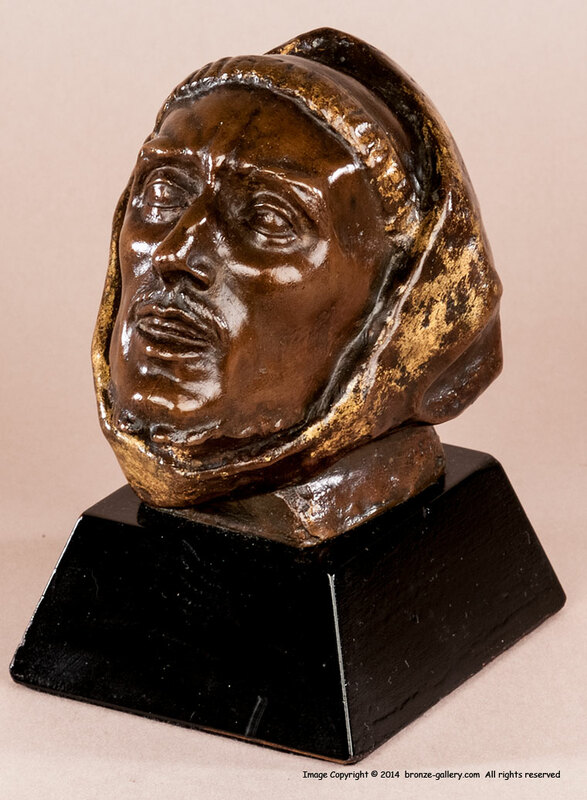 This bronze is the head of Saint Francis of Assis, it is a study from Malvina Hoffman's full figure sculpture of Saint Francis of Assisi. She created St Francis in 1935 in a 19 inch size and later did a 58 inch size in 1939. Geraldine Rockefeller Dodge was a great admirer of Malvina's sculpture and had a cast of the largest size of St Francis installed on her property at Giralda. Malvina Hoffman studied under Rodin and was influenced by his style of sculpting parts of a larger work, such as the hands of a figure, or the figure's head, done as small sketches before he completed the larger finished work. She did many small bronze sketches of parts of her larger sculptures and this is one example. The head of Saint Francis is well modeled and shows him with his head tilted back in prayer. 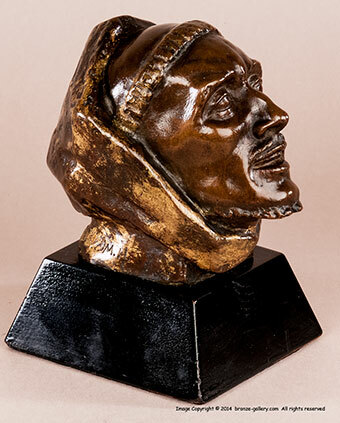 The bronze has a rich brown patina with added touches of gilt to highlight it, and it is mounted on the original 1 1/2 inch thick ebonized black wood base. Very few of these working studies were cast and there are probably only 2 or 3 of them in existence. A rare model of a famous animal lover by one of the most important American sculptors.